Prime Time Marian Prayers is a collection of traditional and contemporary Marian prayers, meditations, and reflections for use in a variety of ways. 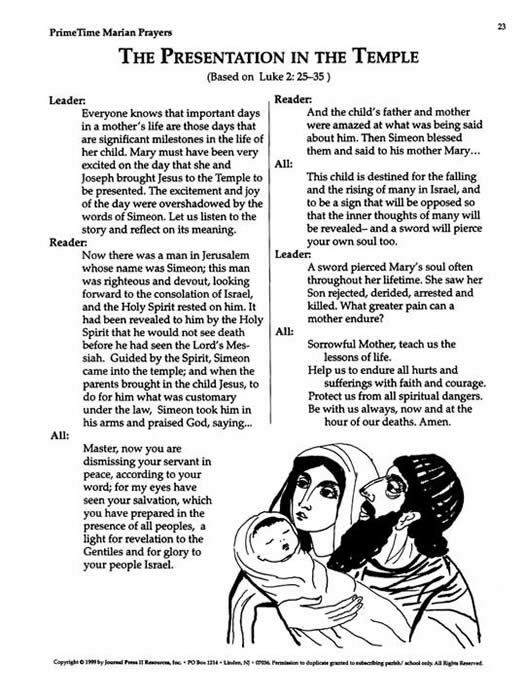 Each prayer is a single sheet black-line master, easily added to agenda sheets, programs, or other notes distributed before meetings held during the months of October or May as well as other liturgical seasons. Prayers include the many titles and roles that Mary has in the Catholic tradition and in the lives of the faithful. 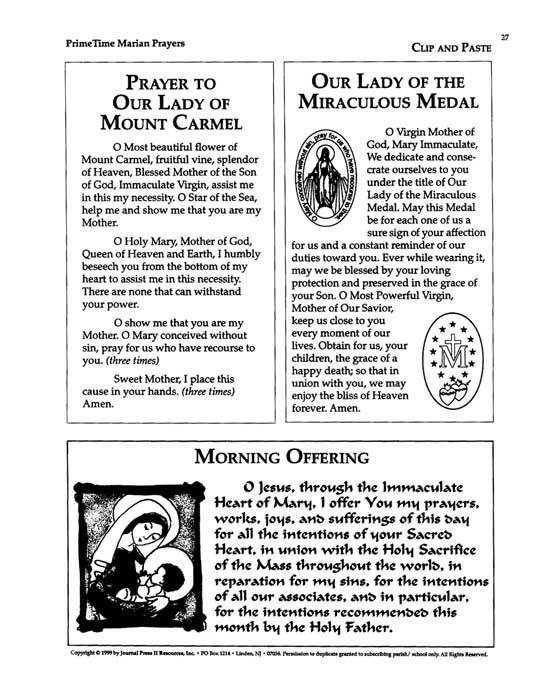 Many clip and paste prayers for Mary's intercession are also included.